The largest green tea distributor in Japan. 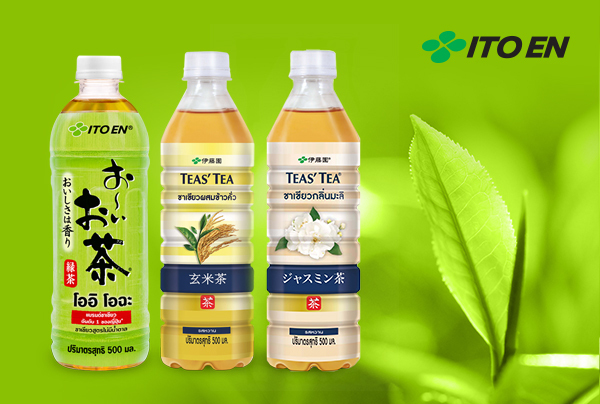 One of its products, Oi Ocha, a sugar-free green tea beverage, is Japan’s number one green tea brand with the highest sale record in the country. 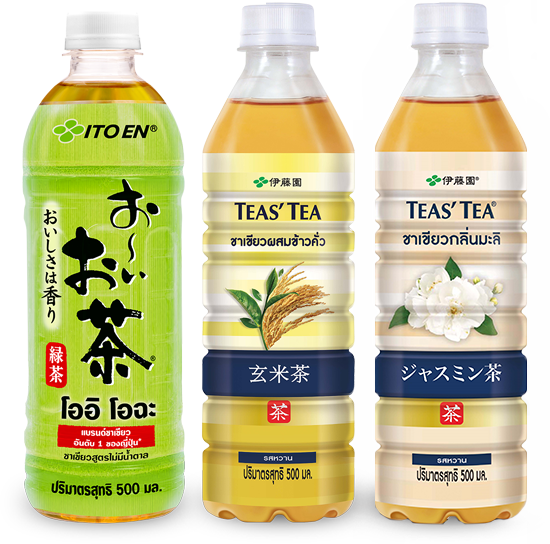 Though ITO EN is the tea market leader in Japan, ITO EN in Thailand is still far from the recognition of the crowd, as it is only popular among lovers of Japanese culture. 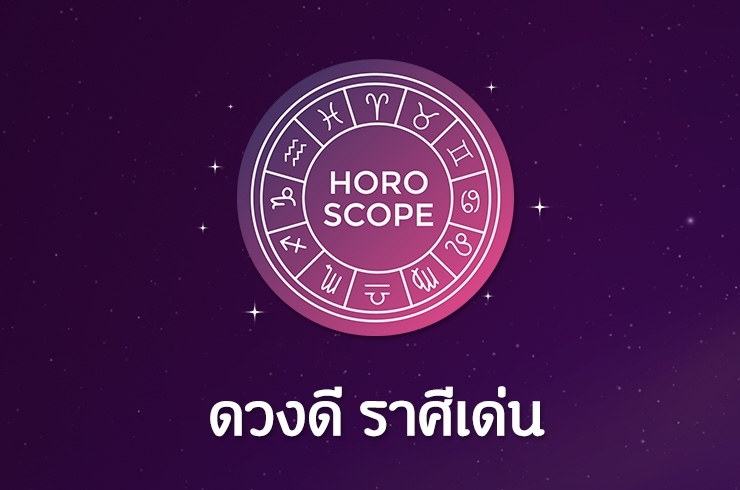 When ITO EN began manufacturing and sale in Thailand, the brand wanted to build up brand awareness in the new market. not someone who just visited, gave one like, and left for good. This was done by infographic. 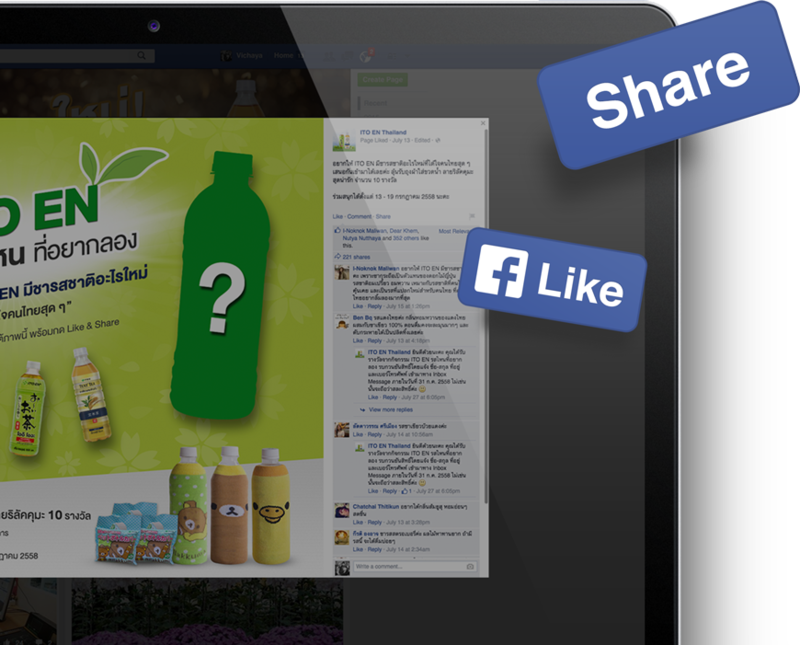 Highlights of each product were listed visually using icons. Product packshots were put in the spotlight to make sure our audience remember what they look like so they can easily grab one at the nearest store without a flick of confusion. Product content is one thing, Japan and tea related content is another. 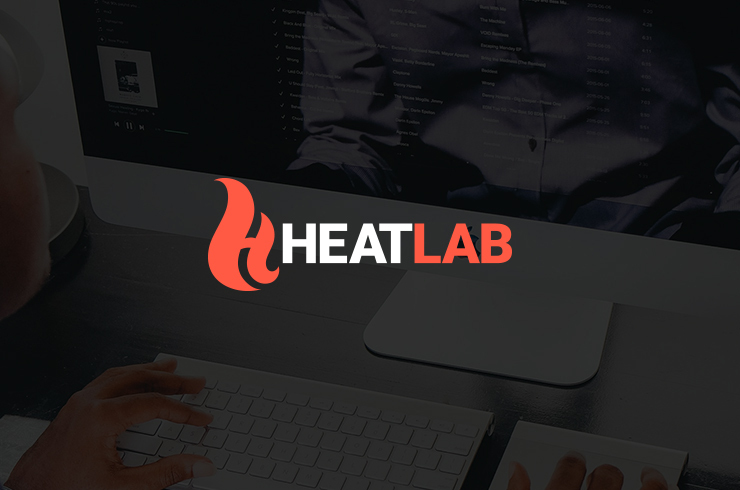 We developed the latter two to attract real and active users to our page. 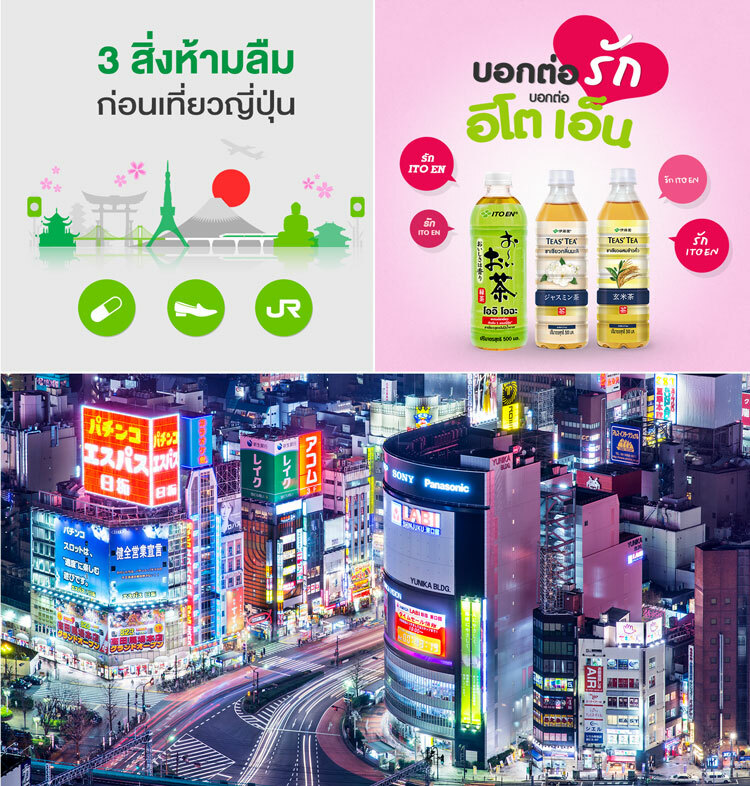 From the best method for tea brewing, health benefits of green tea, useful knowledge about Japan, to tips on how to make the most out of a trip in Japan, these types of content are very popular among Thai people as travelling in Japan is really a trend in Thailand right now. We produced photographic content about places, food, and activities, with ITO EN’s products in the pictures. 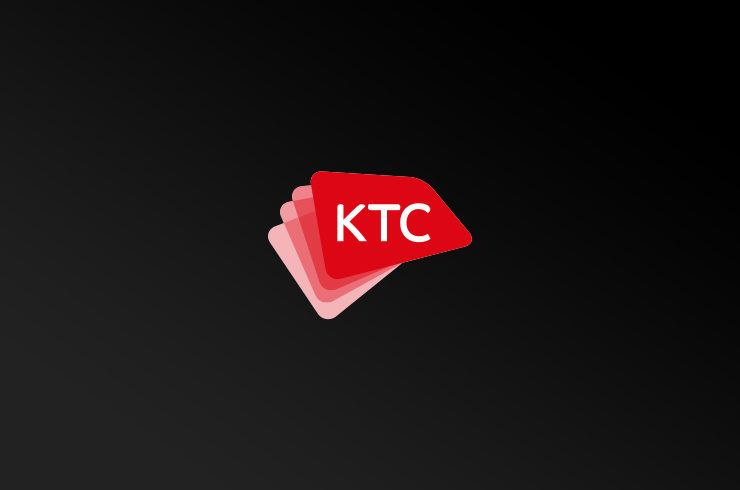 Every content had to answer the target’s lifestyle, must be easy to digest and induced sharing. That was why we chose to present the information with infographic. This is our most popular activity. It received the most participation rate even though no media and advertisement were bought. Joining is simple, fans only have to answer the question “Which flavor do you want ITO EN to have to win out Thai people’s hearts?” Lucky winners get Rilakkuma’s bottle warmer as the token of victory. 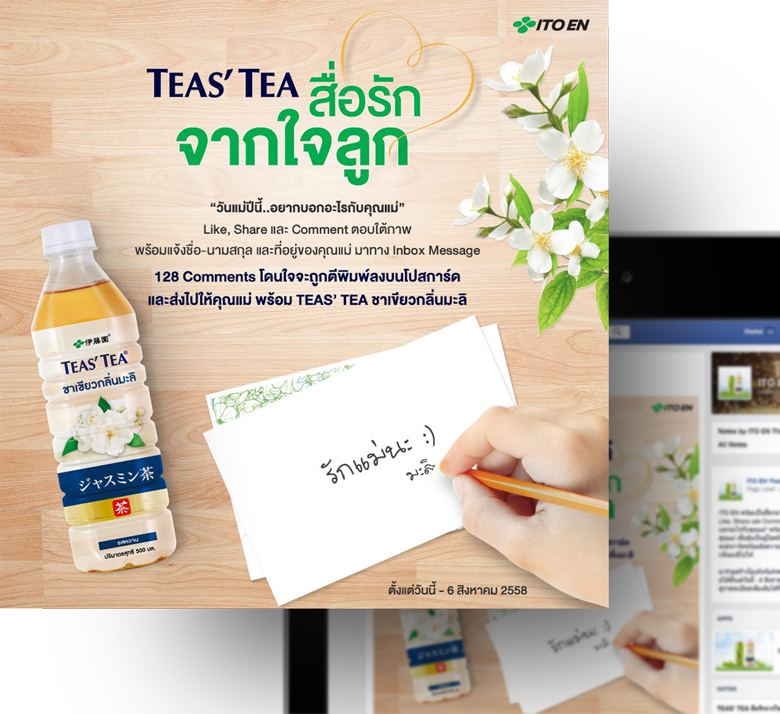 TEAS’ TEA is ITO EN’s green tea with jasmine flavor, therefore, we linked the product’s concept with Thai Mother’s Day, a national holiday that has jasmine flowers as the traditional gift. Fans can comment whatever they want to tell their moms on Mother’s Day and we will write the messages on postcards and post them to their mother with TEAS’ TEA gift-sets. Though the campaign period was really short, the incoming messages were overwhelming. Page Likes Doubled After 1 Month in Our Care.